A coming-of-age saga set in the slums of Montreal as a young boy comes to grips with the temptations of the street while hopelessly aspiring to become a professional wrestler. 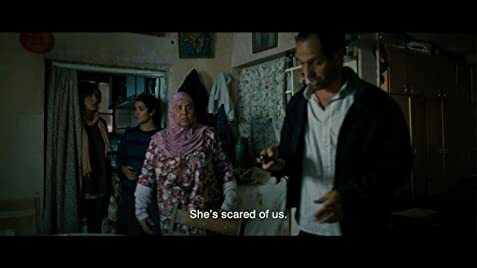 A young Palestinian freedom fighter agrees to work as an informant after he's tricked into an admission of guilt by association in the wake of an Israeli soldier's killing. I saw this film at the Berlinale 2013 film festival, where is was part of the Panorama section. My overall impression when leaving the theater was that it had the effect on me as if it was a guided tour through the refugee camps and Israeli border areas. We knew in the abstract sense about checkpoints in between to let people travel from one side to the other, the soldiers who are assigned to guard those border posts, people wanting to pass being humiliated, assaults in public places by for instance suicide bombers, and the existence of refugee camps. For many years this is and remains newspaper and TV material. We observe a world that is very different from our quiet and reasonably safe lives. We implicitly see and understand the aftermath of assaults, inevitably leading to posting guards and ID checks in public places, augmented with random house searches. What most impressed me were armed people all around carrying large machine guns, also in the role of an average bus passenger wanting to get from A to B, and that no one seems to find those arms in public places disconcerting. It was a good idea to make the woman doctor (Chloe) into a single reference point to provide for some skeleton story line, otherwise this film would be no more than loose fragments (like holiday photo's) of how people live there. There was no real narrative that I could recognize as such, which made me wonder in the beginning what it was all about. We see an Israeli woman (Ava) hating her job guarding one of the checkpoints. We see a women (Rand) sifting through the rubbish dump, but does not want a bed lying there because "settlers have (bleep) F**ked in it". We see Chloe arranging a day pass that allows a family to visit their former house, now only visible as a ruin. And so on. Chloe is the one linking these persons together, hence my idea that a guided tour was the prime purpose of this film. Of course, for Chloe as a white doctor and without roots on either side, it is relatively easy to travel around. And as a doctor, she helps people by definition with their problems. But do not think that people are thankful for her efforts. She remains an outsider in spite of her doing good things on both sides. In the end, for example, after having failed to rescue a newborn baby (not her fault), the mother blames her for being too late and thus causing the death of her child. The mother also became abusive and called her all sorts of nasty names, like whore, all of which was very undeserved given the circumstances. All in all, this movie was not as involving for me as could have been. Maybe I expected too much, being prejudiced by the fact that it received 3rd prize for the Berlinale Panorama audience award. It apparently was able to arouse the interest of a significant number of viewers. However, I was not that much impressed, in spite of the superb acting performances and revealing close-by shots of the local settings. I also think that the film presupposed too much background information from the audience, about the long standing issues around Israeli, Palestinians, settlers and refugee camps. Plus that I have had problems for many many years to take a stand in this controversy. But I obviously am an exception and alone in this.